Do you need to return something outside of our scheduled hours? 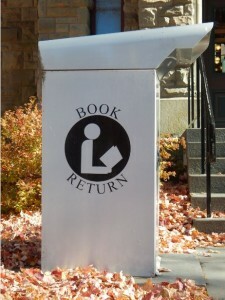 No Problem, use our outdoor Book Drop. We ask that you DO NOT return DVD's or Audio Books in the book drop.